In a night of good news for transgender candidates, Andrea Jenkins won election to a seat on the Minneapolis City Council, making her the first transgender candidate to win election to city council in a major U.S. city. According to the Minneapolis Star-Tribune, Jenkins won 73.1 percent of the vote as first choice in the ranked-choice contest to represent Ward 8 on the City Council. She won a supermajority of the vote for first vote with three other candidates in the race. 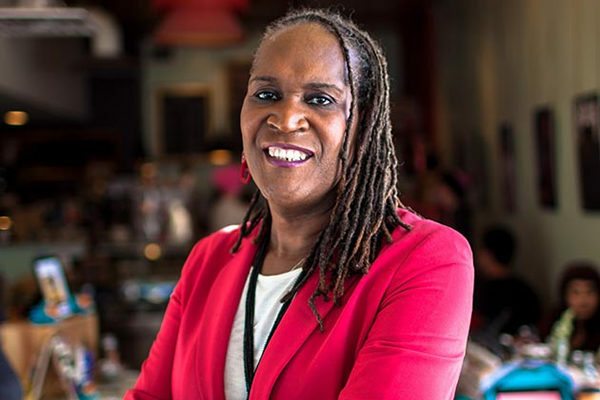 In addition to being the first transgender person to win election to city council in a major U.S. city, Jenkins is the first transgender person of color to win election to public office anywhere in the United States. An award-winning poet and writer, Jenkins most recently was awarded a Bush Fellowship as well as a Fellowship in the Cultural Community Leadership Institute at Intermedia Arts and was named a fellow in the Many Voices Fellowship at the Playwrights Center, according to the Gay & Lesbian Victory Fund. Jenkins earned a master’s degree in community economic development from Southern New Hampshire University, in Manchester, N.H., and a master’s in Creative Writing from Hamline University. No stranger to transgender advocacy, Jenkins’ first full-length book of poetry is called “The ‘T’ is NOT Silent: New and Selected Poems.” She’s currently co-curator of the Queer Voices Reading Series at Intermedia Arts. Another transgender candidate, Phillipe Cunningham, ran to represent Ward 8 on the Minneapolis City Council. Results in that contest are still being tabulated. If he succeeds, he’ll become the first transgender man to win election to public office anywhere in the United States. A trans poet? Not exactly a great resume for a politician … We’ll see.